Couple of years ago, I posted Add Music To Blogger Blog (blogspot) that was a very simple way to add music to blogger blogs. With a simple embed tags, you could have added a link to the audio file that you want it to get played. Though, as with the time, we have many more interesting options and very simple to implement music player widgets that you can add to blogger blogs with few clicks. As shown in the video tutorials below, you can see how we can utilize cincopa. There are tons and tons of templates for music players available that you can choose from. 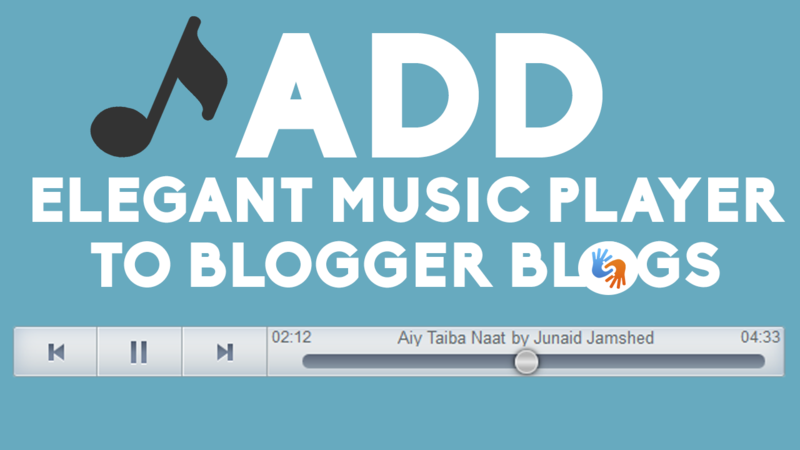 What you can do with this Music player widget for Blogger (Blogspot)? 3- Simple code to install it to your blogger blogs. It would ask you to signup. It's a one time process. Simply do that to get access to the next step. There are many other options out there to add music to blogger blogspot blogs, though this one is pretty powerful. As it allows you to upload your music files to its server and makes a playlist for this if you want. You don't first have to host your music to some other place and then add link to the music player, like in our last example. Step #3 Now it would ask you to make an account. Hit Signup via Facebook or another social profiles that you want to speed up the process. This is the step we were waiting for. 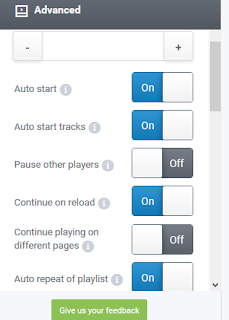 You can now upload your desired audio play back that you want to be played once your blog loads. Once that's done, hit 'Galleries' >> Settings >> And switch the toggles such as 'Auto Play' etc. Hope this was helpful. Watch the video tutorial attached to get the entire screen cast and step by step instruction to do it in under 3 minutes.